Something that is a frequent question by consumers is “Why did my medical aid not cover the full cost of my hospitalization?” Thinking they were covered for 100% of all the hospitalization costs. Medical aid can be a minefield for the regular Jane out there, who is just looking for the peace of mind that her medical aid will cover her adequately in all circumstances. All Jane wants to know is, as long as she pays her medical aid contributions, she will be covered in the event of a catastrophe, such as a car accident, as well as all her normal day-to-day expenses at a healthcare provider. She definitely does not want to become bankrupt over additional costs she becomes aware of only once she has been discharged from hospital, costs which she can ill afford, and which are likely to put her back in hospital due to the financial stress she is now placed under. In South Africa, medical schemes have different options from which you can choose, and these options vary in the benefits offered, and of course also the cost of the contributions. When choosing a medical aid option, you will see that professional services (such as the surgeons or anesthetists) in hospital will be reimbursed at either 100%, 200% or 300% of the scheme rate. Anyone will be forgiven for assuming that being covered at 100% means exactly that – you are fully covered! However, specialists in South Africa are not currently regulated as to what they can charge patients for their services, and could charge in excess of the 100% rate which medical schemes are willing to pay, sometimes as much as 500% of the scheme rate. The end result is that the patient ends up with a shortfall on the specialist’s account, which has to be paid out of his pocket. From the above, you see that one can easily have a gap in cover between what is actually charged and what the medical aid is willing to pay for the specialist for the procedure. This is an expense you did not perhaps consider when joining the medical aid, as you mistakenly believed you were fully covered for hospital expenses. So how does gap cover work? Gap cover does not form part of your medical scheme membership. In fact, it is not even regulated by the same laws. Medical schemes are regulated by the Council for Medical Schemes, and the Medical Schemes Act, while gap cover falls under the Short-term Insurance Act. While your medical aid will reimburse the hospital or specialist directly when you are hospitalized, because of the regulatory issues, gap cover providers will refund you, the member, directly. It is then your responsibility to reimburse the service provider. The process of claiming is also separate from your medical scheme. Usually, a gap cover claim must be submitted after your medical scheme has paid the service provider. Having a gap policy is also not dependant on a specific medical scheme. You can change medical schemes, but still keep the same Gap cover. 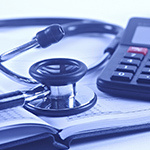 Often downgrading your medical aid option from one that pays a higher scheme rate to one that pays a lower rate and getting gap cover to ensure full payment of specialists is a consideration for consumers, but that may not always be wise as there may be other benefits that you are forgoing on. You should only downgrade your medical scheme option after obtaining advice from your financial advisor, who is accredited to give advice on your specific circumstances.